Less Than Jake greets AND salutes you! Wow, as if one Less Than Jake release isn’t enough for one month, we’ve got another! 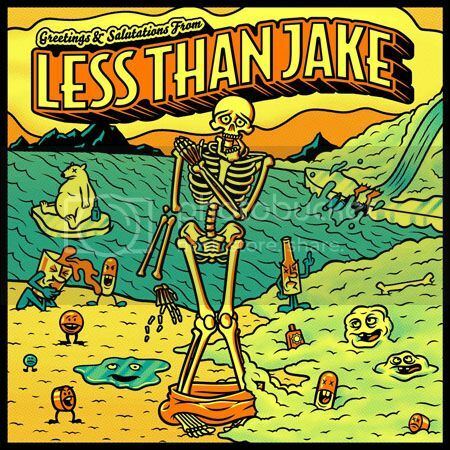 Over the last year, Less Than Jake sold a couple new EP’s on tour. Unfortunately, with the reach of the new EP’s limited to those who could attend a show, and with some of their strongest material in years, it seemed like a proper album was in order. So the band assembled the two EP’s, added 2 previously unreleased bonus tracks, and re-sequenced everything into one cohesive record, Greetings and Salutations. Pre-order for all formats starts NOW! Orders will ship as soon as we get our stock in early December, but the digital will deliver to you on October 16th!